The greatest covers ever. ‘Nuff said. 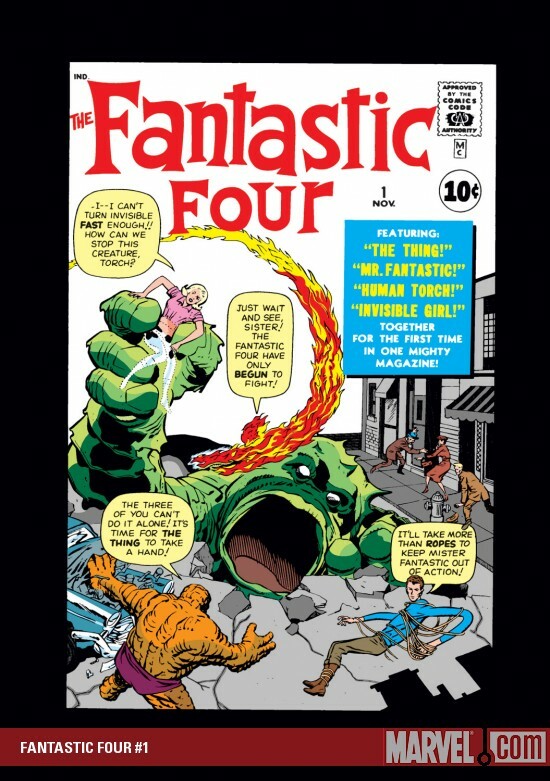 If like yours truly your adolescence (and much of your 20s, come to that) was misspent rereading old issues of The Uncanny X-Men and Fantastic Four, you might be interested to know Marvel have assembled a collection of their 70 greatest covers. The list, which is based upon an online poll of readers, is part of Marvel’s 70th anniversary celebrations, and is accompanied by a list of Marvel’s 70 greatest comics. I’d have to confess to being a little non-plussed by the winner, Todd McFarlane’s cover for The Incredible Hulk #340 . I can think of half a dozen covers off the top of my head which are more iconic and, quite frankly, more striking. And while the selection seems to be less biased towards recent covers than one might expect, I’m a little surprised Jack Kirby and Steve Ditko’s work from the 1960s isn’t better represented (and, though it’s less iconic, the very striking work John Byrne was doing on Fantastic Four and Frank Miller on Daredevil in the 1980s). And how on earth how did the cover of Avengers #4 miss the cut? How can you get more iconic than the return of the original Super-Soldier himself, Captain America? But all that said, I’m pleased to see the #2 and #3 spots go to Amazing Fantasy #15 (the first appearance of Spiderman) and a comic that remains one of my all-time favourites, The Uncanny X-Men #141. And as always I’m pleased to be reminded of just how much I love the old Silver Age comics, which still possess a joyousness and archetypal power the much more sophisticated work of recent years struggles to match (find me an image to match that of Bruce Banner caught in the glow of the Gamma Bomb, or the Sub-Mariner hurling Captain America’s body into the Arctic Ocean and I’ll eat my words). And if you have a few minutes to spare after flicking through the images on Marvel’s website, do yourself a favour and read Jonathan Lethem’s piece on Sam Raimi’s Spiderman, or his wonderful essay about growing up with the Fantastic Four, or, in a slightly different vein, his bleak but to my mind accurate piece about Christopher Nolan’s The Dark Knight. I promise it’ll be time well-spent. ← I have nothing to say . . . Thanks, James – I enjoyed reading this. Every literary blog needs at least one comic post. I’d forgotten the Death in the Family cover, which is great. I might have pulled out this pair of Daredevil covers, or maybe the Spiderman No More cover. Then again I showed her the Marvel gallery to my partner, Mardi, and she just shrugged and said, “They all just look like comic covers to me”. The Batman/Superman cover is striking – but I’m always irrationally biased against Superman. The Daredevil ones are great (and good to see the Punisher cameo). After our respective literary writings and readings, I love that this is what brings me to your blog. Just call me the trashmeister.